Snickers 8201 Rain Trousers | Builders Superstore | Order Now! Beat the rain with the Snickers 8201 PU-coated Rain Trousers. 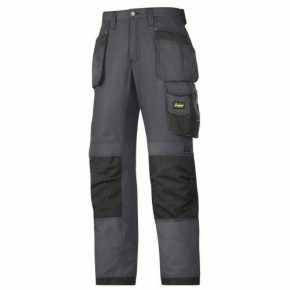 For a 100% dry working day, wear these completely waterproof, PU-coated rain trousers with welded seams. Made of smooth and stretchy fabric for superior comfort. Conforms to EN 343. Material: Light and smooth waterproof Polyurethane-coated 100% Polyester tricot, 190 g/m².